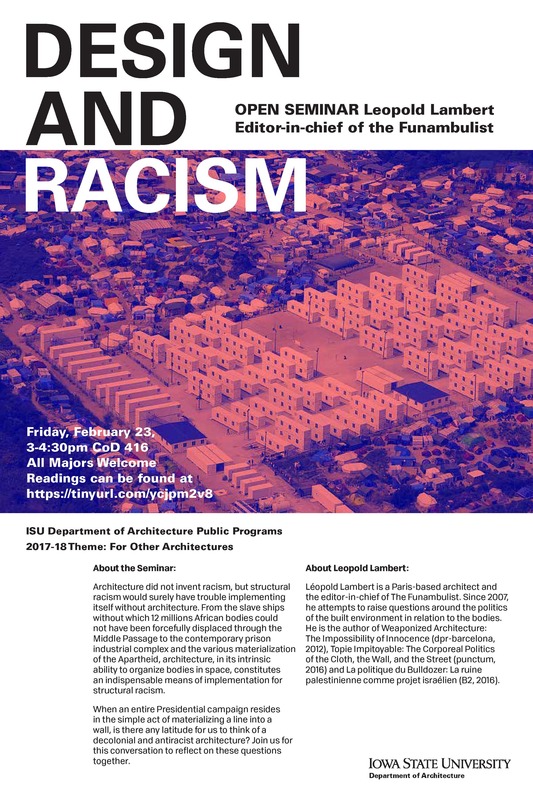 AMES, Iowa — Paris-based architect and writer Léopold Lambert, editor-in-chief of The Funambulist, will speak at Iowa State University about the ways he uses architecture to analyze and contribute to decolonial, antiracist, feminist and queer struggles. 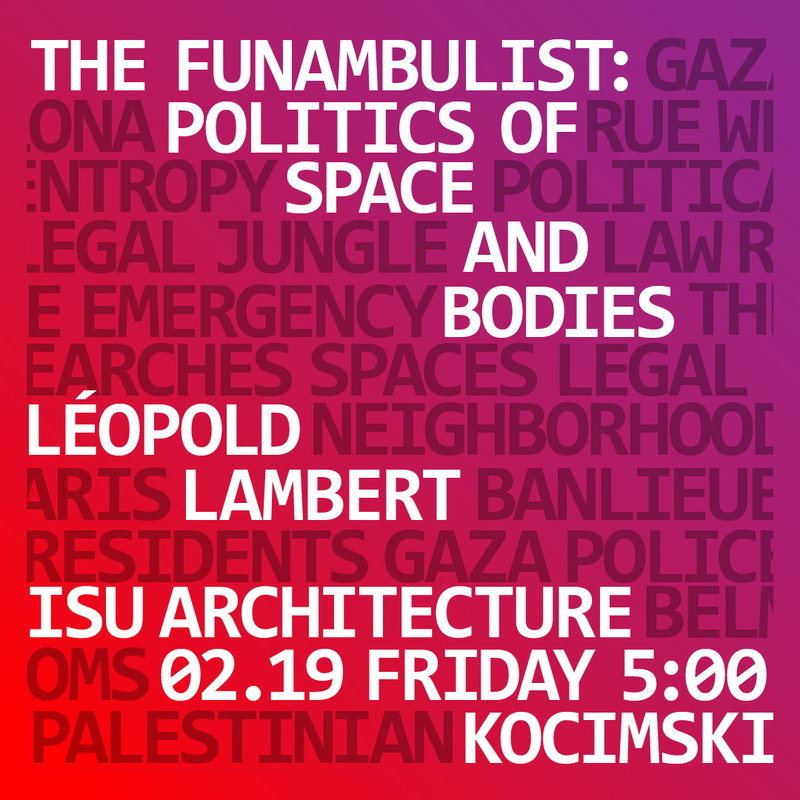 Lambert will present “The Funambulist: Politics of Space and Bodies” at 5 p.m. Friday, Feb. 23, in Kocimski Auditorium, room 101 College of Design. Part of the ISU Department of Architecture 2017-2018 Public Programs Series, “For Other Architectures,” his lecture is free and open to the public. Lambert is the author of three books: Weaponized Architecture: The Impossibility of Innocence (dpr-barcelona, 2012), Topie Impitoyable: The Corporeal Politics of the Cloth, the Wall, and the Street (punctum books, 2015) and La politique du bulldozer: La ruine palestinienne comme projet israélien (B2, 2016). His next book will focus on a spatial history of the French state of emergency and the colonial continuum.